What do you mean, this game has more than 8 bit graphics? In a world without gods, there will still be those who need healing. White mages eventually filled the void left by priests. They learned ways to twist arcane magic to provide healing power at the cost of most of their destructive abilities. Though not as powerful as the clerics they sought to replace, they are still valued and able magicians. Unlike pure mages, they learn some skills in combat, but they are not front-line combatants. Their altered arcane magic functions even while wearing leather armor, as the organic nature does not block the flow of their power. At first level, white mages hit an unarmored foe (AC 0) with an attack throw of 10+. They advance in attack throws and saving throws by two points every four levels of experience (i.e. the same as thieves). They may use hammers, maces, flails, bows and crossbows. They are not trained to use shields, fight two-handed, or dual wield weapons. White mages cannot wear armor heavier than leather. White mages learn and cast white magic spells as mages of two thirds their class level. The number and levels of spells the white mage can use in a single day is summarized on the White mage Spell Progression table. Like a mage, the white mage’s spell selection is limited to the spells in his repertoire. A white mage’s repertoire can include a number of spells up to the number and level of spells listed for his level, increased by his Intelligence bonus. A white mage can use any magic items usable by mages. White magic is slightly different from normal arcane magic. White mages learn ‘Blast’ and ‘Death’ spells as though they were divine casters, but learn ‘Healing’ spells and ‘Hold’ spells as divine caster, meaning they can add arcane versions of spells such as Cure Light Wounds or Neutralize Poison to their repertoire, and learn Hold Person as a second level spell. All other spells are learned at normal arcane levels. At first level, all white mages are trained in the art of Healing. Each level of healing beyond 3 that a character possesses allows them to treat 1 additional patient per day, and grants them a +2 to the proficiency roll to generate the special effects. At level three, they gain herbal mastery. Any herbs they use for healing purposes work at double potency (Comfrey would heal 2d3, wound wort would grant a +4, etc). At level five, they gain the ability cure minor wounds once every hour after spending one turn tending to a patient. At level seven, their healing skills are so great that their very touch heals wounds. They can perform lay on hands. At 7th level (Master Healer), the white mage may begin to research spells, scribe magical scrolls, and brew potions, as if they were a mage of 5th level. At level eight, their familiarity and exposure to diseases grants them immunity to disease, whether natural or supernatural. At level nine, they gain a second use of lay on hands. Also at 9th level (Life Giver) a white mage may establish a college. If he does so, he will attract 1d6 apprentices of 1st-3rd level plus 2d6 normal men seeking to become white mages. Their Intelligence scores will be above average, but many will become frustrated by the required dedication and quit after 1d6 months. While in the white mage’s service, apprentices must be provided food and lodging, but need not be paid wages. If the white mage builds a dungeon beneath or near his college, monsters will start to arrive to dwell within, followed shortly by adventurers seeking to fight them. White mages’ coteries are otherwise identical to mages’ sanctums, as detailed in the Campaign chapter of the ACKS Rulebook. At level eleven, the healing powers that flood their body make them immune to all poisons. 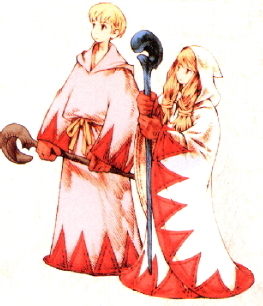 Upon reaching 13th level (Life Giver), the white mage gains the ability to create magic items such as weapons, rings, and staffs as a mage of 9th level. He may also cast ritual spells of a healing nature and create construct servants as a mage of 11th level. Finally, at level 14, their mastery over life and death gives them the ability to Restore Life and Limb once a week after spending a turn in surgery. I just cast ‘Graphics Upgrade!’ Now I feel much better! 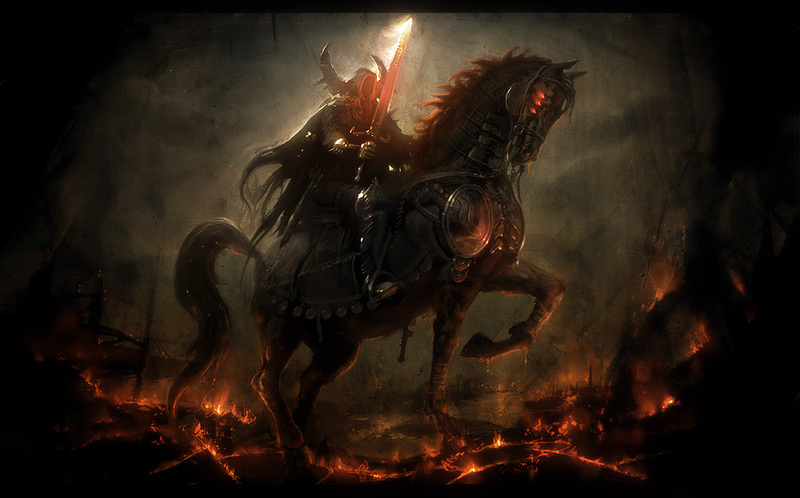 This entry was posted in Ahlyen, Classes, House Rules, Role-Playing and tagged Advanced Dungeons & Dragons, Adventure Conqueror King, Classes, Cleric, Dungeons & Dragons, Final Fantasy, House Rules, jedi, Mage, mages, New Class, OSR, priest, priestess, priests, soul knight, Warden, White Mage, wizard.